It is no secret that in this country, many working individuals are lacking when it comes to having enough savings, especially retirement savings. While this is true for Baby Boomers and Generation Xers, it is particularly true for Millennials. The past few years have been tough economically, and Millennials have been some of the hardest hit by the recession, student loan burdens and more. As the economy continues to recover Millennials need to begin looking to increasing their savings. 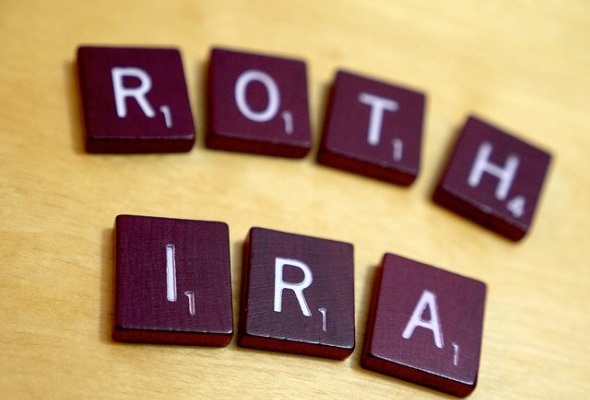 Roth IRAs may be the best way to go for many. Fidelity Investments conducted a survey of 2,000 Americans asking a range of questions on topics from overall health to retirement savings habits. The study found that, as a whole, Americans are not saving enough; however, the problem is most prominent among Millennials. While an alarming 40% of those surveyed were saving less than 6% of their salaries for retirement, when it came to Millennials the number rose to 51%. The study concluded that Millennials are most at risk for not being able to afford basic retirement essentials such as food, shelter and medical care. While it is easy to say that the solution to this problem is that Millennials need to save more, the issue is that many do not know or understand how to properly save for retirement. One way is with Roth IRAs. The new myRA being touted by President Obama has been called a Roth IRA with training wheels. There are numerous benefits of Roth IRAs, such as you do not pay taxes when you make withdrawals. Unlike a 401(k) or other traditional retirement account, Roth IRAs are not tax deductible; however, once you reach the age of 59 withdrawals are tax free. This is because you put money into a Roth IRA after you’ve already paid taxes on it. Roth IRAs also provide flexibility, especially for Millennials. If you are looking to return to school, need emergency cash, or just need funds for whatever reason, with a traditional 401(k) and pre-tax IRA you will have to pay an additional 10% early withdrawal penalty. But this can be avoided when withdrawing from a Roth IRA. While saving for retirement by first opening a 401(k) with your employer is usually ideal, especially if they offer a matching contribution, the Roth IRA can be another tool to get you to a successful retirement. Use it in addition to your 401(k) to up your yearly contributions. Unfortunately, the economic collapse and subsequent struggling economy have resulted in lower than average savings rates among Millennials. The good news is Millennials are still relatively young and new in their careers, and have the time to develop these savings habits. Roth IRAs are a great way to increase your retirement savings while still maintaining some flexibility. Not only are Roth IRAs beneficial when it comes to taxes upon withdrawal (once you reach 59), but if you need to withdraw money earlier, you will not suffer the same penalty as you would with other retirement savings accounts.